Virtually unknown to gardeners are two species of North American Wisteria, this one and Kentucky Wisteria (W. macrostachya) which we also carry. They are much less rampant than Asian Wisterias and much more likely to bloom. 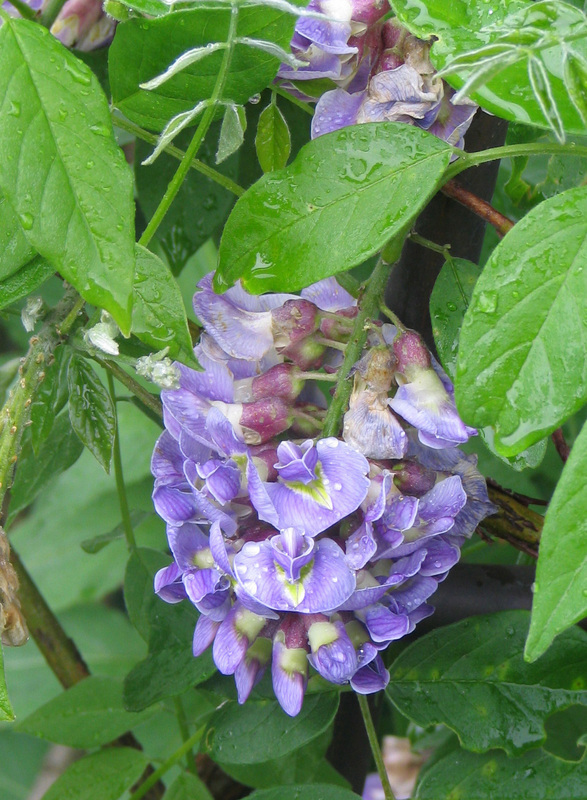 The violet-blue flowers of American Wisteria are bunched together in 3-to-4 inch cones held up and away from the foliage. They appear over the course of 2-4 weeks, a longer bloom period than that of Asian Wisterias. They are only lightly fragrant so they don't rival their Asian counterparts for this attribute. Vines usually re-bloom once or twice during the summer, but the display is muted and, quite frankly, often hardly noticeable. A white-flowered form. The picture is of a plant growing on the potting shed at the center of the nursery. Many customers ask us what they need to do to get their Wisteria to flower. Invariably it turns out they've been growing an Asian species for many, many years and have seen nary a flower. 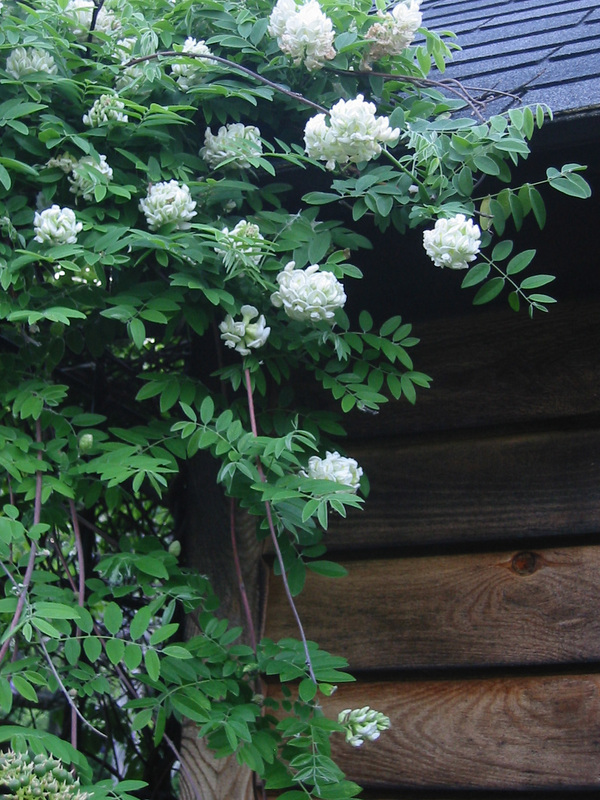 Our answer is to rip out their Asian Wisteria and plant a North American one in it's place. American Wisterias are precocious bloomers and they flower every year. Really. Obviously, a pink-flowered form. We received about six of these from a grower. Two of them flowered and were not pink, so there may be a labeling problem. Thus we're not sure we have this form in stock. Hopefully there are some pink ones among the plants that have not flowered. Only time will tell. More information on this species is available from the Native Plant Information Network at the Lady Bird Johnson Wildflower Center. Click here.